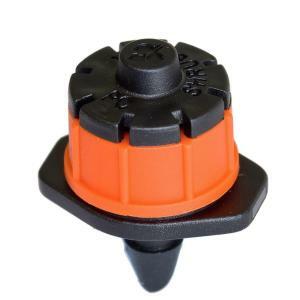 The Shrubbler 360º PC (Pressure Compensating) Dripper is a fixed diameter drip emitter. Gentle flow action with uniform coverage for all emitters on the same mainline supply tubing. The operating range is between 15 PSI to 45 PSI. The flow rate is between 6 - 10 GPH according to the system operating pressure.